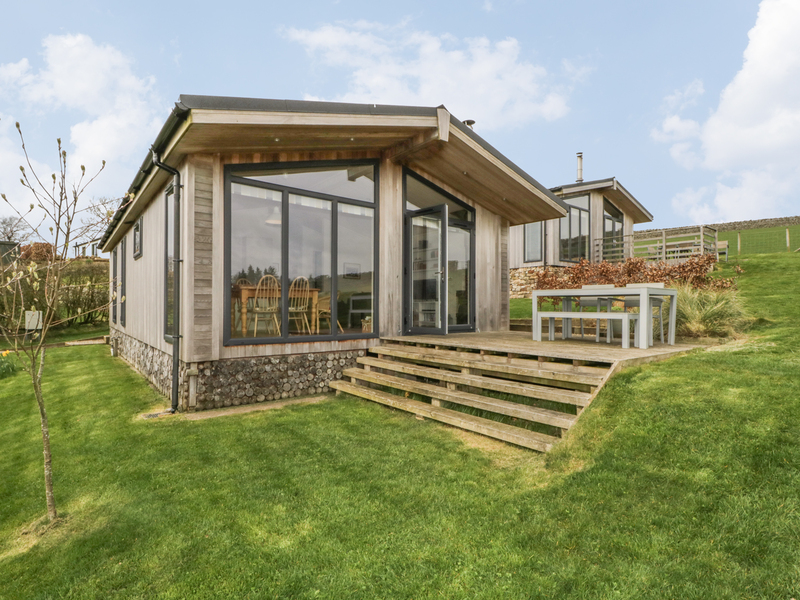 Calva Lodge is a log cabin with a real wow factor. 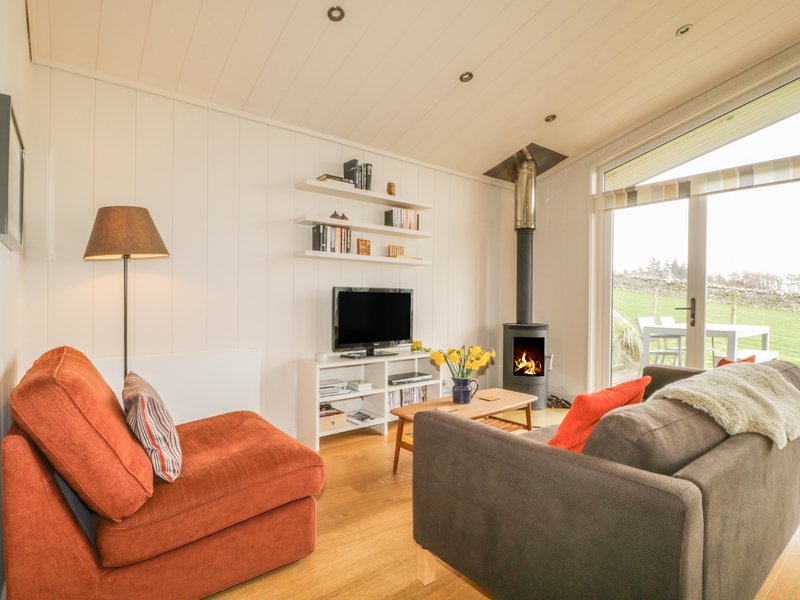 The Lodge is on a working farm and sleeps 4 people in 1 x king-size double bedroom with a luxury en-suite shower room and 1 x twin bedroom and family bathroom. The accommodation has wonderful views from bi-fold doors which open onto a deck. The lodge has a fully equipped kitchen and off road parking. Children will love helping to feed the animals. Ideal for couples and families with children. Underfloor heating with wood burning stove. Electric oven, gas hob, microwave, fridge/freezer, dishwasher, washing machine, TV, DVD player, iPod dock, range of DVD's, books, games, WiFi. Gas, electricity and basket of logs included. Bed linen and towels supplied. Cot and highchair available. Off road parking. Lawned garden with patio, furniture and BBQ. 1 medium sized dog or 2 small dogs welcome. Pub 2.5 miles.